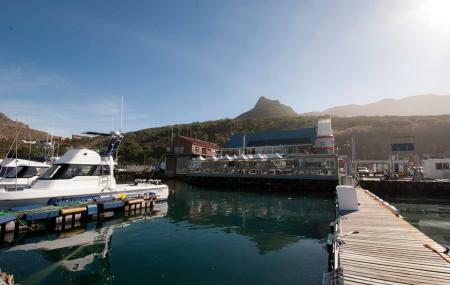 To enjoy great food while savouring the mind uplifting natural view, you can plan to go to the Lookout Deck Hout Bay. It is a wooden deck styled bistro that can boast of its fantastic waterfront setting. The restaurant has a charming natural backdrop that consists of mountains and ocean. The restaurant provides the customers with bar and sushi services. High-quality seafood, oysters, and sushi are the lip-smacking platters that this restaurant offers. You will also get to taste best quality beers and an impressive range of wines at this place. The place is family-friendly and the staffs of this spot are very dutiful and gracious to all. You will obviously have a great time here. The Lookout Deck Hout Bay is not a popular tourist spot and visitors exploring prime attractions like Table Mountain Cableway, Table Mountain, Victoria And Alfred Waterfront, Kirstenbosch National Botanical Gardens and Robben Island. For more popular attractions visit things to do in Cape Town. A fun-filled day in the city is possible with these exciting Cape Town tours that you can book for your visit. Find the joy in planning a D.I.Y. trip by using this awesome Cape Town trip planner. You can enjoy a comfortable stay in the city by booking the best hotels in Cape Town like Oxford House, Holiday Inn Express Cape Town City Centre and Hotel On St Georges. Generate executable plans on your own or book the top rated Cape Town vacation packages for your visit. Read more on how to reach Cape Town. How popular is The Lookout Deck Hout Bay? People normally club together Chapmans Peak and St. George's Cathedral while planning their visit to The Lookout Deck Hout Bay. This is a favourite restaurant of ours that we visit each time we come to CT from Zimbabwe. I highly recommend.end the Platter for one which will feed 2 or 3 people easily. Our excellent waiter recommended it last night and it was the best value for money. We used to come here very often because it's just perfect spot in the harbor over the sea with stunning views all around. The food here used to be better, now it's more average. I am also missing some good selection of craft beers here. Great restaurant with fantastic views of Hout Bay Harbour and the surrounding mountains. Service was great. Generous sized portions of fresh and tasty food. Recommended.